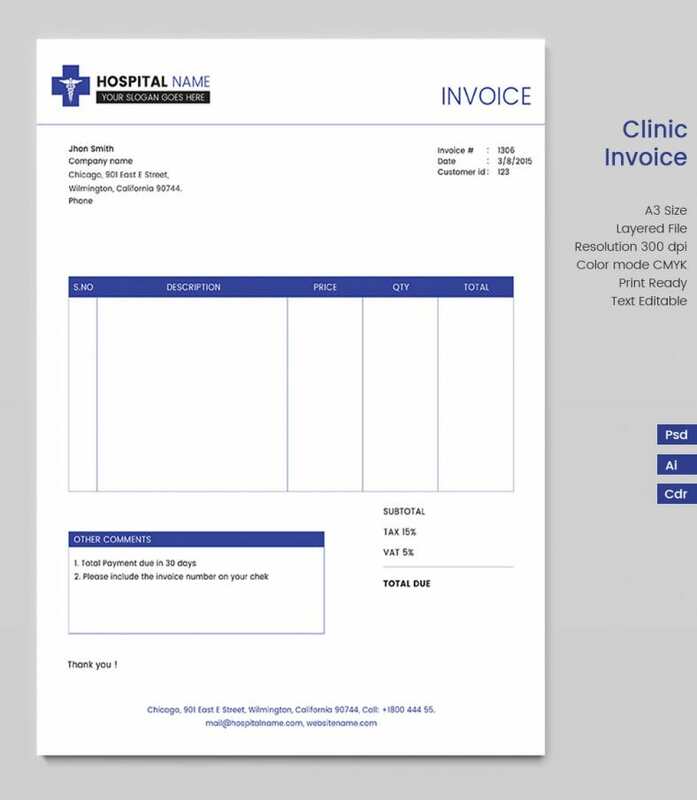 Our website has a wide range of Invoice Template samples for clinics and hospitals that can come in handy. 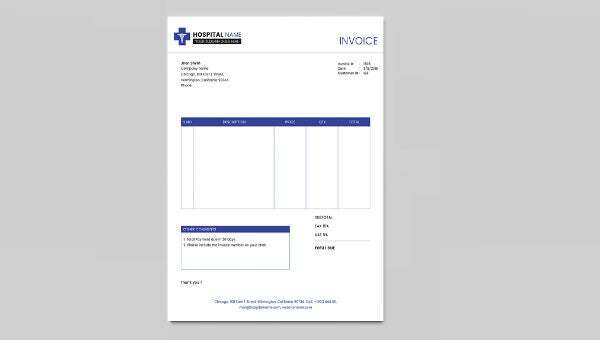 These invoice are present in many designs and patterns to give a new look and feel and are printed in perfect paper for better use. They have perfect columns and spaces so that you don’t have to smudge the paper to write. These invoice papers can be customized according to you and you can give them your own edits for your use. These invoice papers are available on our website for printing and downloading in PDF and PSD formats.